With the start of the new semester, LAU students, faculty, staff and visitors can freely walk to and from the School of Business and Riyad Nassar Library complex, without being exposed to traffic. 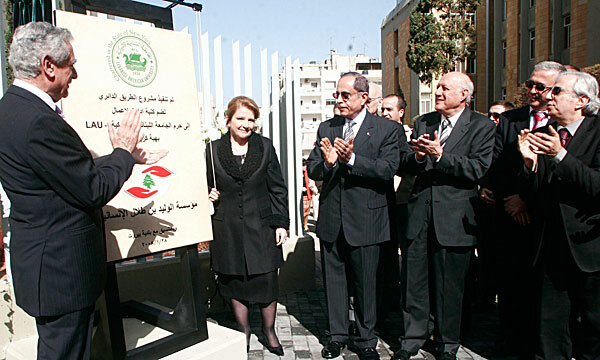 Dr. Leila Solh Hamade reveals a plaque on the new road. 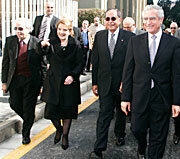 Attendees follow President Jabbra to the site of the new road in Beirut. The old road between both areas of the Beirut campus was closed and a new one was built around the complex. The project was funded by the Alwaleed Bin Talal Humanitarian Foundation, with the support of the Beirut Municipality, and took about a year to complete. 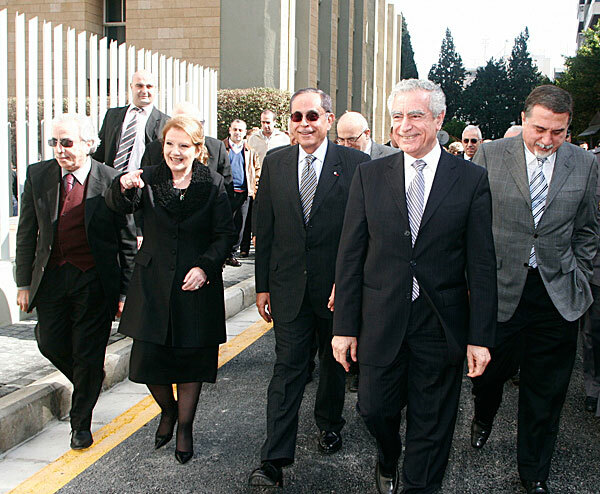 At the end of the ceremony, foundation President Leila Solh Hamade revealed a plaque on the new road, accompanied by Dr. Jabbra, Beirut Mayor Abed El Mounim Al Ariss, Chief of Beirut Internal Security Ghassan Barakat, LAU’s President Emeritus Riyad Nassar, Board members and officials. On a similar development, the university recently spearheaded the initiative to build a new road from the main Jbeil highway to the Byblos campus, which has been adopted as an effective alternative to the narrow, steep, winding streets drivers had to take before.